Glossy and vibrant kitchen is the dream of every homemaker. It maker her refreshing and relaxed with her hectic works. Brown and white combination with matching bottom and upper colour cabinets. 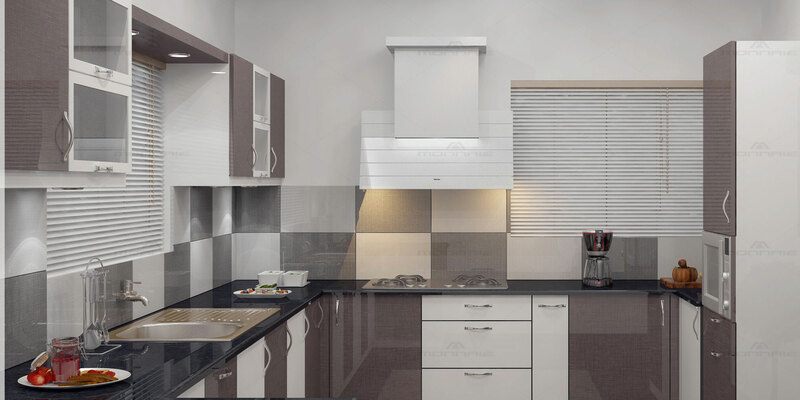 This modular kitchen is very elegant and classy with sufficient space and inbuilt feature. We deal with branded modular unit for modular kitchen accessories. Cabinets are made of marine ply materials.